Matt Phillips ended Leicester's 20-game unbeaten home league run as West Brom clinched a surprise 2-1 win at the King Power Stadium. The winger cashed in on Danny Drinkwater's error as the Baggies deservedly became the first side to beat the champions at home in the Premier League since Arsenal in September 2015. Islam Slimani quickly cancelled out James Morrison's second-half opener but Phillips' goal ended Albion's five-match winless streak. 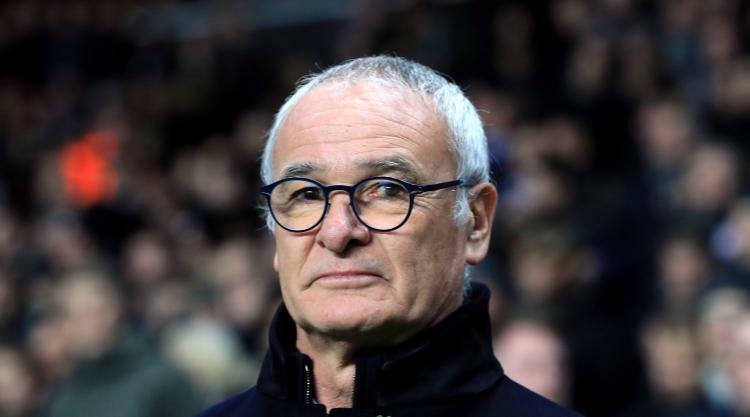 Leicester's focus on the Champions League - where they need just a point from their final two Group G games to reach the last 16 - has impacted on their domestic form and the Foxes were again lacklustre. Defeat was their fifth of the season - having lost just three times in last term's title-winning campaign - and Jamie Vardy was again benched with the striker now goalless in his last 13 outings after a substitute appearance. The win allowed West Brom to leapfrog them in the table with Claudio Ranieri's side now just two points above the relegation zone. They started on the back foot as Ron-Robert Zieler, in for Kasper Schmeichel after the goalkeeper fractured a hand in Wednesday's 0-0 Champions League draw in Copenhagen, tipped Phillips' low drive wide after just three minutes. The Baggies made an aggressive start, helped by Leicester's sloppy play, with Zieler rusty and the goalkeeper allowed Salomon Rondon to charge down his clearance. Much like in their forgettable stalemate in Denmark, the Foxes were stifled with Slimani and the recalled Shinji Okazaki starved of service. With Vardy benched Leicester lacked the cunning to attack the Baggies as Ahmed Musa and Riyad Mahrez remained on the periphery. While Darren Fletcher and Claudio Yacob screened the visitors' defence well Leicester were uncharacteristically subdued for the first half an hour. The Baggies struggled to create themselves as chances remained at a premium even if Chris Brunt skied well over after 32 minutes. Zieler continued to live on the edge when he nearly allowed Rondon to close him down again as the Baggies edged the first half without making the breakthrough. It was the first time Leicester had failed to register a shot on target in the first half since returning to the Premier League in 2014 and in response Ranieri replaced Okazaki with Vardy at the break. But the striker's introduction failed to inspire the hosts and the Baggies took the lead seven minutes after the restart. The visitors' pressure had been growing and fine work from the excellent Rondon saw the ball eventually worked right to Phillips. His cross struck Christian Fuchs and fell invitingly for Morrison to stoop and glance a fine 10-yard header across Zieler and into the corner. The lead lasted just three minutes, though, as the Foxes equalised with their first effort of the game. There was little suggestion they would haul themselves level so quickly but Slimani's crossfield pass found Mahrez and the striker wandered into the area unchecked. Mahrez's cross then found his Algeria international team-mate who timed his run perfectly to nod in his fifth strike of the season from six yards. The goal reinvigorated the hosts but the Baggies regained their composure and, after Zieler saved from Craig Dawson, grabbed the winner with 18 minutes left. Drinkwater seized on a loose ball on the halfway line but his wretched backpass sent Phillips clear and the winger outpaced Wes Morgan to dink past Zieler for his first Baggies goal. Dawson almost scored an instant own goal as Ben Foster claimed his miscued clearance and Andy King planted a header straight at Foster with 10 minutes remaining. And despite desperate late pressure Leicester could not force a second equaliser.